Doom metal has long been a divisive genre for me, in theory, I love the concept dark, grinding, atmospheric music that is stupidly heavy, yet all too often the music eschews grit and darkness in favour of groove and Ozzy style vocals. 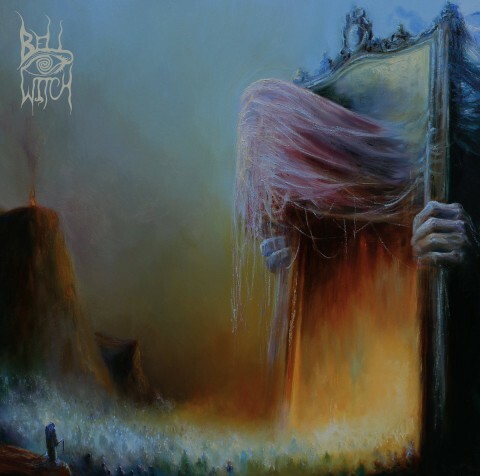 Every few years I dip my toe back in the water to see if anything good is happening, for the first time in a long time, that dip has turned into a dive headfirst into Bell Witch’s "Mirror Reaper". This is what I want my doom to sound like, dark, oppressive and incredibly atmospheric. A stunning behemoth of an album consisting of one song clocking in at a whopping 1hr 23mins, to call it a song though is somewhat of an injustice, it calls to mind classical opus’ where the music contributes to a greater whole full of shifting motifs, rather than established song structures. One of the words that keeps coming back to me to describe this album is 'tasteful', one of the most intriguing and captivating things about this album is the restraint, everything is measured and calculated to add to the whole as a greater beast. The album’s slow, like really, really slow, which for some will be an instant turn-off due to the lack of apparent riffs, however, it is very rewarding for those willing to stick with it, the interplay by the minimal instruments (just bass, drums, synths, and vocals) creates vast soundscapes interspersed with silence and droning sections that are hugely evocative and full of melancholy. Read also: Vantablack of extreme metal. Review for Portal’s album "ION"
The album is split into two sections "As Above" and "So Below", the first section of the song is where the most aggressive and driving sections of the album are found giving way to clean vocals and a lighter feel, for "So Below". I definitely favour the first 'movement' but I’m always compelled to finish the album with the emotional resolve the 2nd half brings. Bell Witch lost one of their members [the drummer and vocalist Adrian Guerra passed away in 2016] in the time between their last release and "Mirror Reaper", and one can’t help but feel the anguish and subsequent catharsis across the 2 major ideas on this album. A challenging listen that requires attention and patience, its evolving sounds and nuanced composition will reward those up to the challenge. A fantastic album that I’d recommend to anyone that loves doom, atmospheric or challenging/intensive music in general.